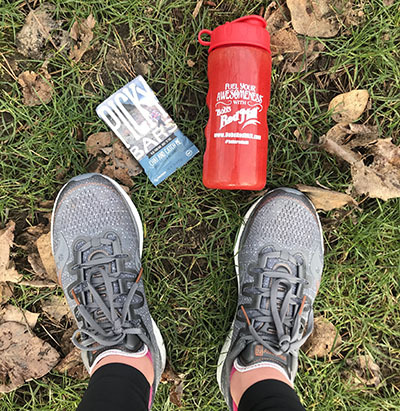 The Fuel Your Fastest Running E-course guides you through sports nutrition, fueling, and hydration, so you can be energized throughout training, avoid the wall on race day, steer clear of GI distress, and fuel your fastest running. By race day, you will be in control of your nutrition and hydration and ready to run your best. As a running coach, one of the most common struggles I hear from runners is figuring out how to fuel in training and on race day. There are so many different products on the market and so many competing theories on sports nutrition that the information can be confusing and conflicting… especially when you just want to focus on training for your marathon or half marathon. 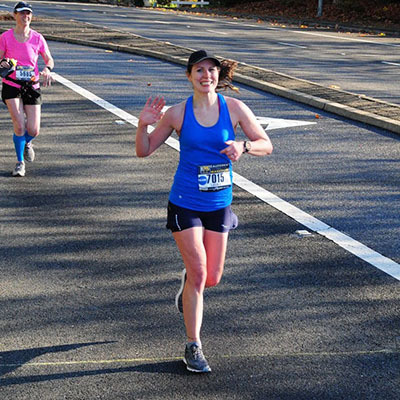 This is a month-long e-course, consisting of four modules designed to help you figure out your individual nutrition and hydration needs for training and racing marathon and half marathons. The course costs $59. The registration is current rolling – you can start at any time. After the month is up, you can keep the videos and emails – meaning that you can work through the course at your own pace and review the information later. Simply purchase this product and you will receive your first lesson – you can sign up and start at any time! This course is packed with information and I encourage you to ask any and all questions throughout the course! I am here to help you fuel your fastest running. If you have any questions about the course, please contact me at [email protected] – thank you!